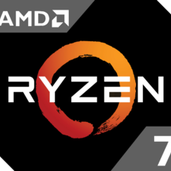 building a AMD Threadripper 2950X 32-core workstation--more compute power than Intel i9-7900X to better corner the market! possible spike lower and IF A is not taken out, bounce back up with continuation to D point, which would give us a nicely hamonic Gartley 222 SELL. XAUUSD's path of action over the next few days. Short in an ABCD manner. Market still bearish as long as K-are is not invalidated to the upside. Last visit •Under your bed!